You could argue that the teddy bear was the iconic accessory of your childhood. It had a name and a special place in your room, as well as, your heart. But what if you made it something more? Something that can be passed down your lineage to bring joy to each generation? At a luxury level of course. 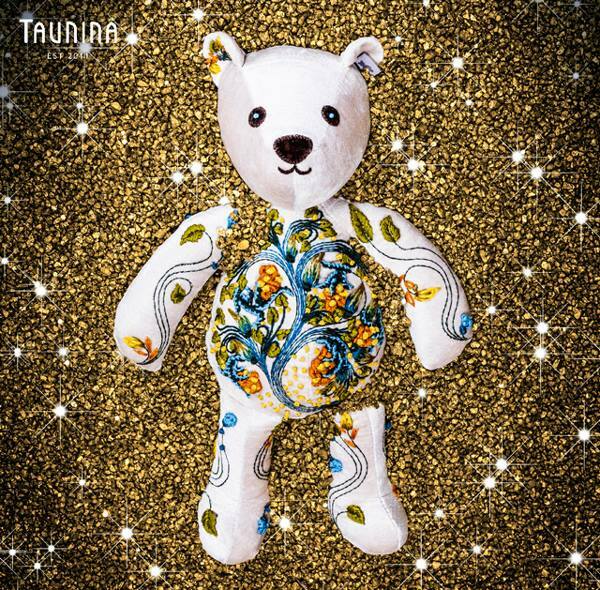 Taunina is a Cape town based brand that makes one-of-a-kind collectible teddy bears, puppy dogs and bunny rabbits that make precious heirlooms. 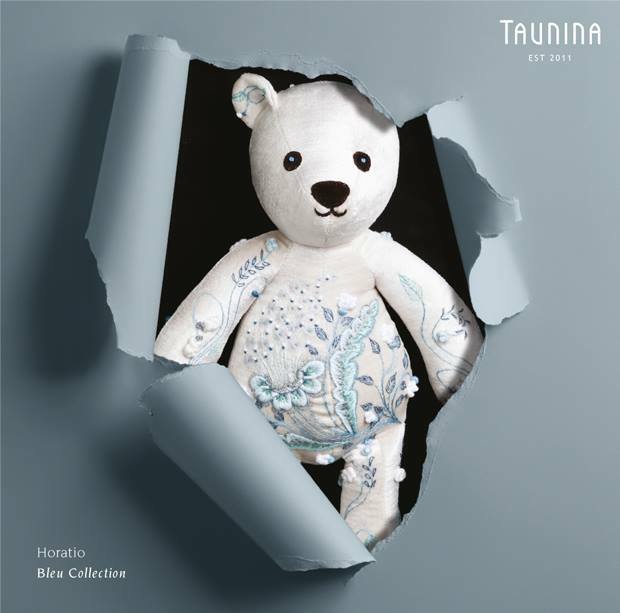 The idea to take this playtime feature with emotional ties to the luxury level was made reality by co-founders Tracey Chiappini-Young and Karen Jansen, who started the brand in 2011. Chiappini-Young and Jansen set out to make a product that was not only luxury based, but also gave back to the society that helped produce it. Made up of more than 20 panels, these items are hand-cut and stitched together by skilled artisans over the period of a week. 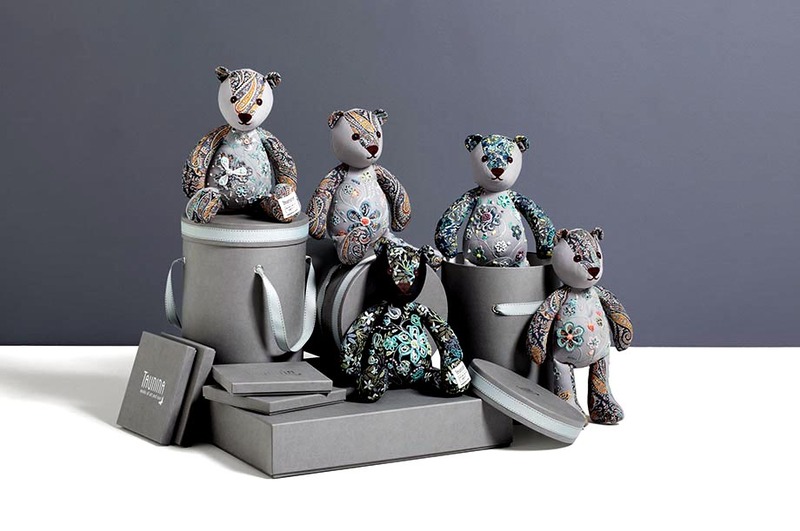 They are then finished off with intricate appliqué and embroidery and come packaged within classy hat boxes with a certificate of authenticity that “details information about the artist who created it and their wish for the world”. 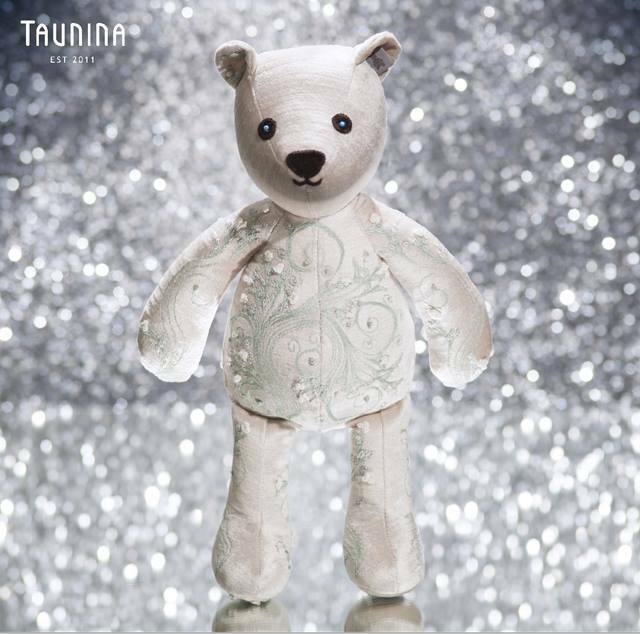 Additionally, it comes with the toy’s birthday, the name it was given by its creator, information of the seamstress that made the beauty and a passport so that it can travel the world with you and your family on your adventures. To ensure that you have the one and only unique product, it comes with it’s own unique identification and registration codes. While the artisans learn the uniform aesthetic that the brand is known for, they are given the space to express themselves creatively which results in collectible items that is rare and original. 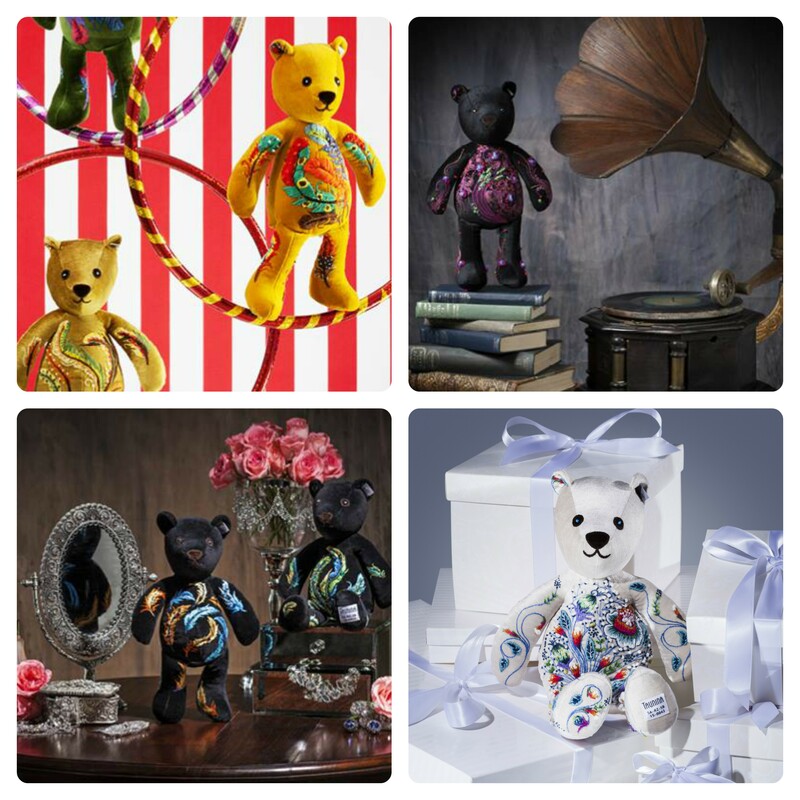 To give it the extra rarity, each toy is embellished by a single artist. While it looks gorgeous, it also takes into consideration that it has to be functional. Because everything is done inhouse, they are able to control how each product is made. The ‘teddies’ are made from 100% natural fibres using toxin-free and environmentally friendly dyes and colours. They select all their materials from reputable and established manufacturers, such as British Velvets Ltd, Liberty of London and Sanderson, which they still inspect. Keeping in mind that it isn’t just a heirloom but a child’s toy, they lay with extra protection to make it soil, water and oil repellent, while still being breathable, durable and soft to the touch. Did we mention that they are made in line to global safety requirements, such as the stringent CE mark and CPSC standards? And that all the creators are required to wash and powder their hands every 90 minutes to ensure the cotton stays clean? Again, they’re meant to be in your family’s life for a good, long time. Moreover, each product is designed in such a way that there aren’t any removable parts or pieces. That way, you can be assured that your little ones are safe from any choking risks. The name of the business embodies the CSR passion that exists within the brands seams. 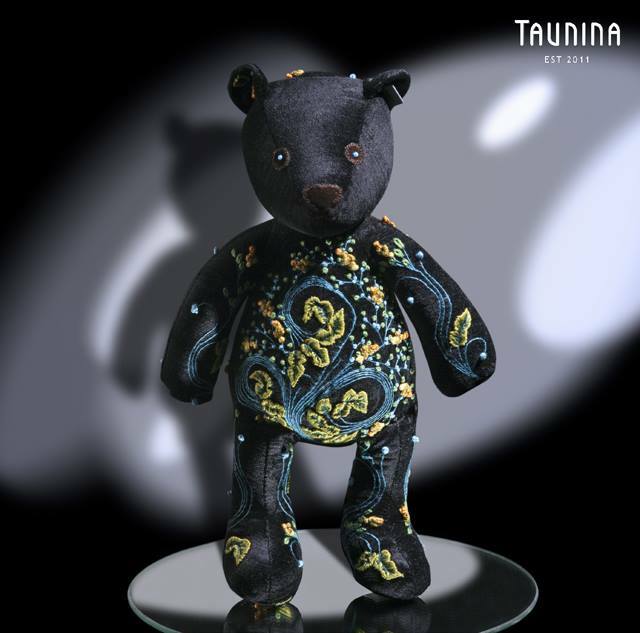 Taunina comes from “tau” meaning “lion” and “nina”, an acronym for the business term “no income no asset”. It’s an entrepreneurship that empowers the women that bring these creations to life. They work with tailors from South Africa, as well as skilled embroiders from the Democratic Republic of Congo and Zimbabwe. But they also have training facilities to mentor women in the art of seamestry and embroidering to luxury-finishing standards. The applique and embroidery that is featured on each product is based on artistry that is over 2,000 years old and is used similarly in ‘the way Egyptians used hieroglyphics: to document and describe historical events and note the reigns of particular kings’. Furthermore, they give 30% of the profits from sales to the seamstresses, with another 20% going into the Bear Essentials Fund to pay for their housing, health care and education, and 10% being dedicated to productivity-related cash bonus payments. 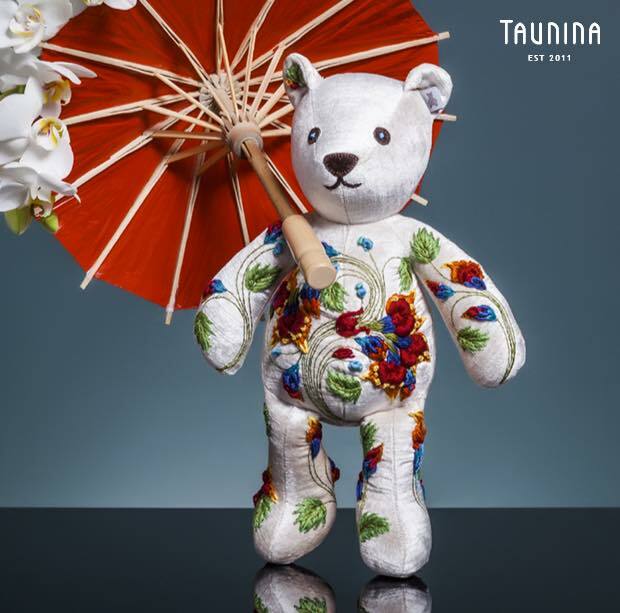 Taunina is a sustainable luxury house synonymous with timeless artistry and social upliftment. Because they are meant to be passed down generations, and loaded with meaning from the brand, artisans and the eventual owners, they aren’t meant to end up in any landfill any time soon. It’s a brand that supports the creative arts, ensuring that hand-cut, as well as, embroidered and appliqué technique is perpetuated in communities while giving them the tools to be independent . 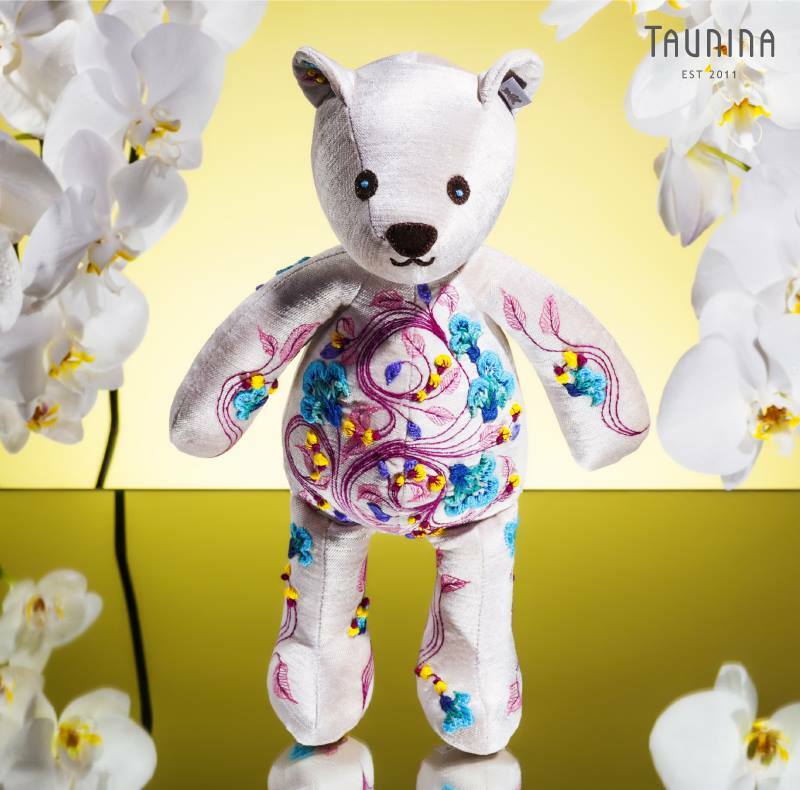 And the fact that they only make one of each creation, makes these toys rare, classic beauties that can be a symbolic addition to any family.